The unit is housed in an ABS case measuring 29 x 80 x 150 mm. The instrument incorporates a slot for hanging and is powered by 1 x AAA battery (supplied). unlike the standard Elite model where the fan is on permanently. • This heater can be floor standing or hung from the roof of the greenhouse. Both legs and chains included. 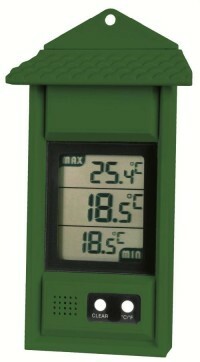 • IPX4 splash proof rated for greenhouse use. Switch between three power outputs (1kW, 1.8kW and 2.8kW). Comes complete with kit for floor mounting or hanging from roof. Switch to fan only for summer air circulation. (uses only 53w). Very quiet smooth running motor. High rate of air circulation (450m3/hour) for even heat distribution. Long power lead (1.5m) for easy intallation. Sufficient to heat up to 8x14 greenhouse, or up to 12x20 frost free. Length 410mm, height 330, width 220mm. Q. 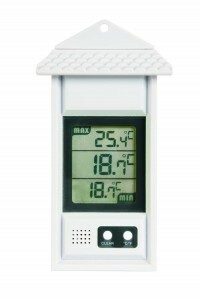 What are the benefits of ordering a thermostat with This product and is it necessary to have a thermostat such as the bio green thermostat thermo 2. A. The Phoenix greenhouse heater has a built in thermostat but it is not calibrated in degrees, The Thermo 2 thermostat would allow a the temperature to be regulated in exact degrees C/F. 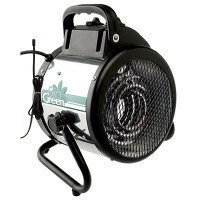 Ask a question about "Bio Green Phoenix greenhouse heater"
Delighted with the heater. I strongly recommend. Absolutely fantastic. Does the job brilliantly with very good thermostatic control. However It arrived with packaging so badly damaged it had been repacked by DPD. The item was fine though. I ordered the heater on 27th November in the evening online. The following day I received an email saying the item was out of stock, I could have my money back or wait till it was in stock. I asked how long it was likely to be before it was back in stock, they replied about a week. I decided to wait. the heater was delivered on 30th November, quicker than a lot of places would have had it been in stock. I have brought several items from The Greenhouse People and have always found them very competitive, quick and reliable, they are now my first port of call. 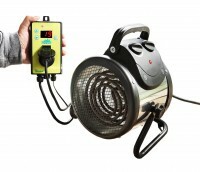 Write a review of "Bio Green Phoenix greenhouse heater"
Margaret Hopkinson-Woolley Delighted with the heater. I strongly recommend. Sally Rees Absolutely fantastic. Does the job brilliantly with very good thermostatic control. However It arrived with packaging so badly damaged it had been repacked by DPD. The item was fine though. Roger Goodacre Even better than expected. You can choose continuous fan or thermostatic fan operation. ( fan comes on with heater element).Thermostat also works in hot weather when using fan to cool greenhouse. Bill Whitehouse Very good hearer giving selection of wattage output, built in thermostat, accurate degree choice. Well built, very effective. David Scott I have two heaters one in each glass house (25 x 15 ft). Each seems to work very efficiently. Both are being used as a fan at present with no heat and are producing good air circulation. Mark Giles Good purchase experience. Well made and easy to set up. Did its job very well throughout recent very cold period and all plants in greenhouse surviving as expected.